Most car nuts could likely tell you one of the first cars that caught their eye when they were just a wee little lad. For me, it was my neighbor’s 1969 primer grey SS Camaro sans hood. It was the lack of an engine cover that mostly stood out…surely that can’t be good when it rains, I thought. The second car that stood out the most in my early brain? 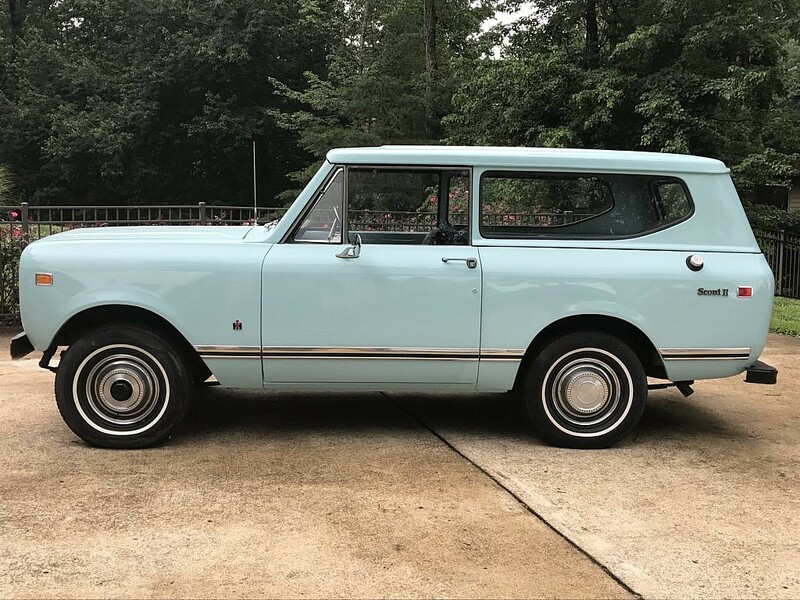 An International Harvester Scout…somehow I was old enough to know that the IH symbol was usually affixed to the front of farm tractors. Why then was I staring at what appeared to be a Bronco made for farmers? 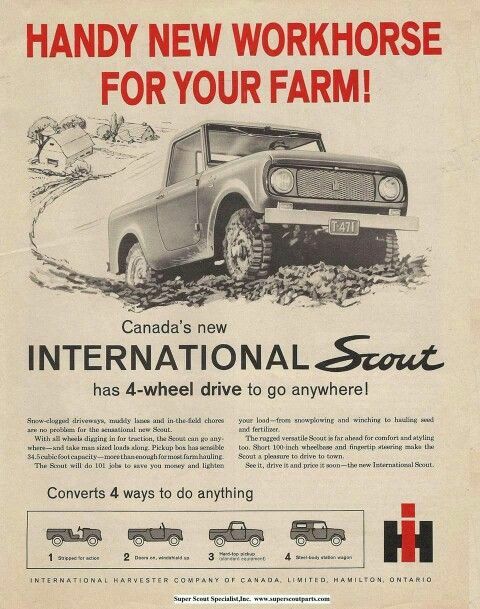 Vintage IH Scout ad showing off the top variants and fold down window. Rights to IH. “That’s a Scout” my uncle said. Hmmm. Even at such a young age, I was intrigued by the fact I had never seen one…my first exposure to the uncommon. And it stuck. I’d look for them when the thought occurred to me to do so, and I’d rarely see another. That still plays out today unless you go web searching for one…and that’s why it’s our feature today. 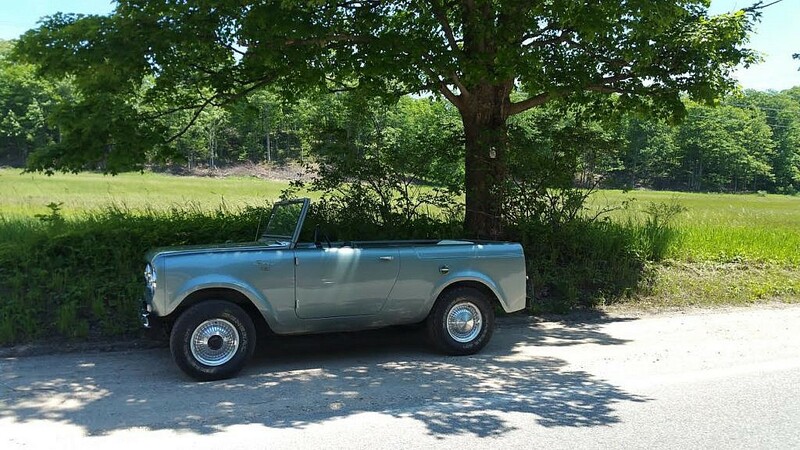 Reader submission of his 1965 Scout 80 that he daily’s. Photo rights to Jonathan Scheel. Quick history on the models as you can read about them at length here. IH roots began with making farm equipment in the early 1900’s. IH got its start in automobile manufacturing with building trucks in the early 1930s and the Travelall wagon starting in the 1950s. As Jeep was growing in popularity at the time, IH saw the market. 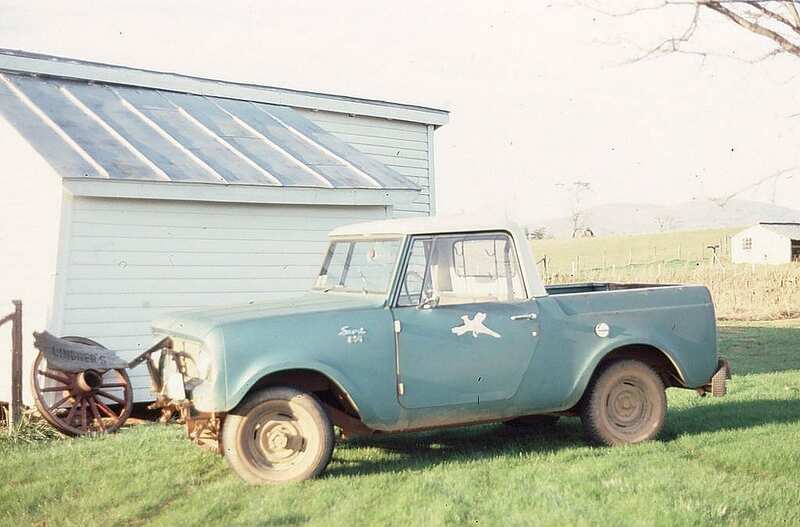 BEFORE: Reader submission of his unrestored 1966 Scout pickup. Photo rights to Chris Lindner. 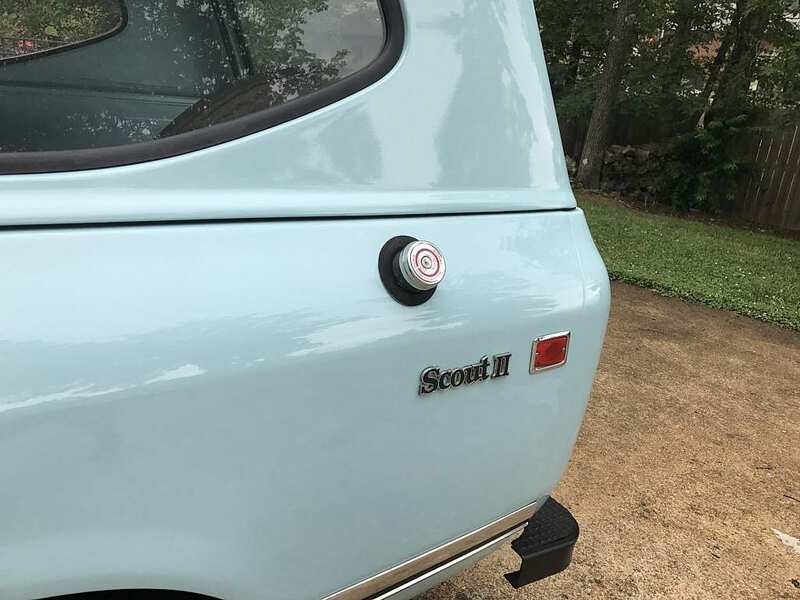 Two generations of the Scout were produced, the first ran from 1961-1971 (80/800 series) and the second from 1971-1980 (Scout II). The first Scout (the 80) arrived late in 1960 as ’61 model. Primitive at best is how you might describe it. Roll up windows were optional a year later, you got sliding windows and you liked it. So did lots of people as they sold about 28000 of them. By 1964 they sold 100k and the next year would bring us the 800, basically an updated higher HP version of the 80. 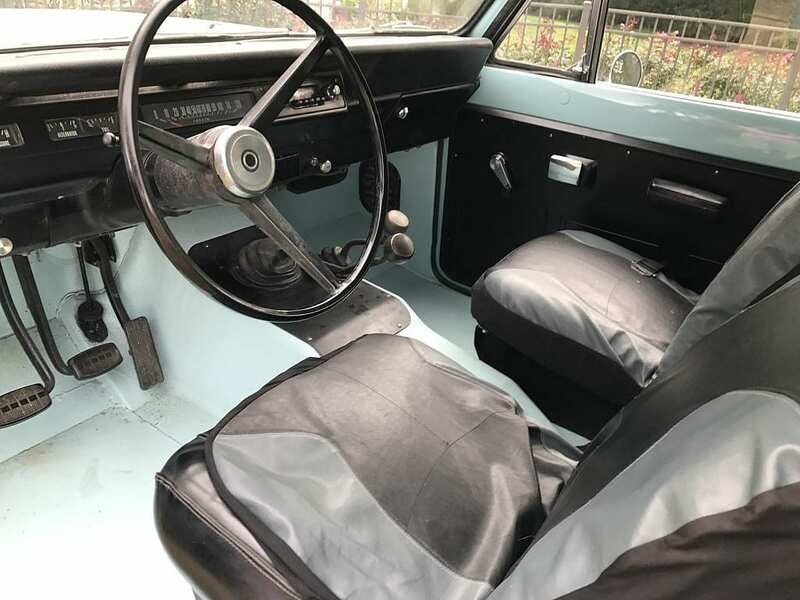 In 1971 the Scout II shows up which offers up a few design changes and creature comforts like disc brakes, improved heat (optional), and even optional air conditioning. Oh, the rear seat and the radio were also optional. IH would offer up several variants during its near 20 year run, including a truck model, soft tops, and removable hard tops. So how is it as a daily? Perhaps ok as we did receive some inmail of readers who daily theirs. Chris however doesn’t daily his he reports…”I use it to run quick errands, the occasional cruise-in, and sometimes for my 40 min commute (wallet and weather permitting). When you’re driving it, there’s no denying that it’s “all truck”! “Rides like a tank” is a common expression. With its original 96 hp, 152 cc engine and low gearing, it won’t get you there quickly, but it will get you there. The vacuum-driven wipers (each controlled by it’s own knob) are fun in the rain; they slow down when you accelerate, and speed up when you idle.” So perhaps not the best of dailys as you might expect given the option list, but certainly is on the short-list of garage rotations. 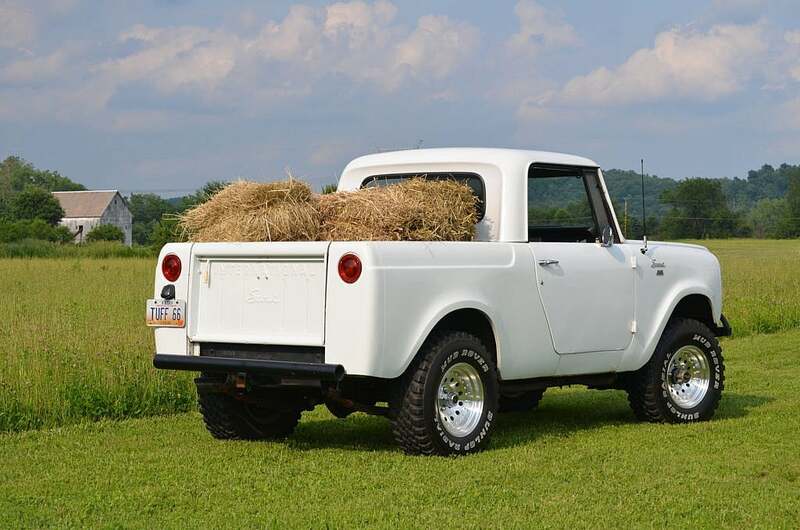 AFTER: Reader submission of his restored 1966 Scout pickup. Photo rights to Chris Lindner. What to look for? The early Scout 80/800’s are notorious for rust (sounds familiar) as the fender wells are perfect mud-collecting pockets. Some military models came with factory under-coating. The ’61-’62 model 80’s had sliding door windows, and all 80’s had a folding front windshield. They were available in 2- and 4wd, right-hand drives were an option, half- and full-cab (both removable, along with the doors), the SporTop version, and a few other special editions (e.g. Comanche, Red Carpet Edition) were offered. Having the VIN plate is helpful in acquiring an IH “lineset ticket” (from the Wisconsin Historical Society, which houses an extensive McCormick-IH collection) and can help solve a lot of mystery around the various flavors of the early Scout. Recent sales value is wide-ranging, the same as with other vehicles based on condition. This IH Truck Value guide is commonly recommended for people looking for a benchmark. 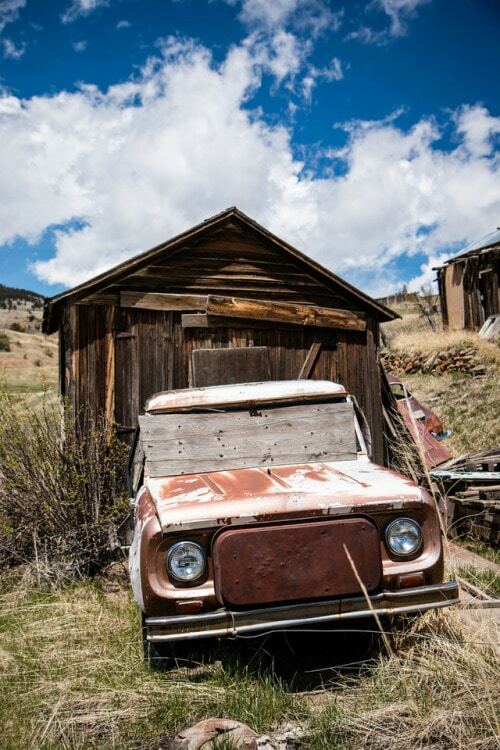 Vintage trucks and SUVs are rising stars in the collector car community. On average, we’re seeing prices around $10k-$15k but some have broken into the mid $20k’s depending on condition and documentation. The die hard Scout fans won’t like this unless they’re selling, but the market is ripe to buy as we predict these to climb steadily over the next 5 years. 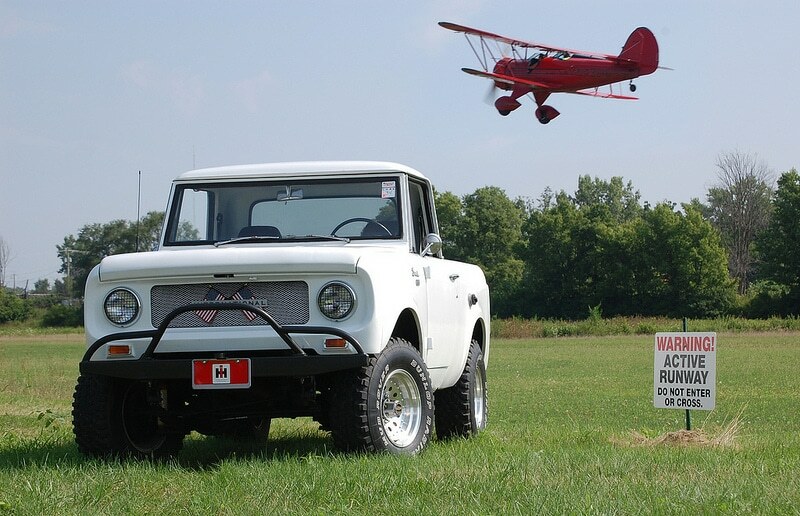 This entry was posted in American Classics and tagged Airplane, bronco, cherokee, Farm, IH Scout, jeep, Scout II.